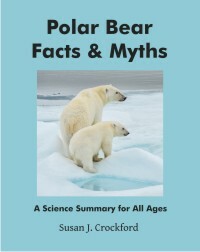 According to records compiled by James Wilder, a US Forest Service biologist, there were only 20 fatal polar bear attacks (out of 73 total attacks) between 1870 and 2014. That’s what the 14 June 2016 account in the Anchorage Daily News says (“Sea ice has been keeping polar bears and humans apart — until now”). 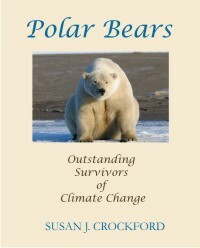 But I think it’s kind of delusional to suggest that a list of recorded attacks, spanning 145 years throughout the Arctic (including Russia), have captured more than a fraction of all actual polar bear attacks – given that many Arctic communities didn’t have reliable communications in the 1970s (let alone the 1870s). How about all the Inuit and Siberian hunters over the years who failed to return home because they were killed and eaten by a polar bear – unbeknownst to anyone? Wilder presents these numbers as a basis for saying how concerned he is that a longer open-water season in the Arctic could increase the number of attacks by polar bears – and he’s right, that’s a valid concern now that the global population of bears is so high. Many polar bears plus people in a confined area is never a comfortable situation, as the people of Churchill, Manitoba have learned. 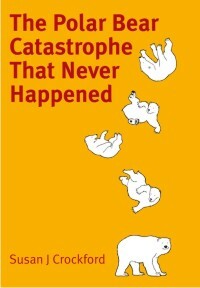 But declining sea ice is not the only scenario that could lead to an onslaught of hungry bears and a slew of fatal attacks, as my new science-based novel EATEN highlights. The truth is that if polar bears don’t get enough food in the spring – for any reason – the ice off the beaches of Arctic communities gives polar bears easy access to human prey. If that happens, people had better be prepared – because doors and windows won’t necessarily stop a determined polar bear.